22/09/2018: My favourite Japanese restaurant in Cardiff. Always fabulous meals, with great efficient service! Great ‘sushi boat’- delicious food, with superb presentation! 05/09/2018: Nuestros amigos organizaron esta comida y estaba nervioso ya que no soy un fanático de los peces y no había probado la comida japonesa antes. 13/04/2019: Tucked away between the big chains in the food court us this little gem. Very small and compact but the food is anything but! 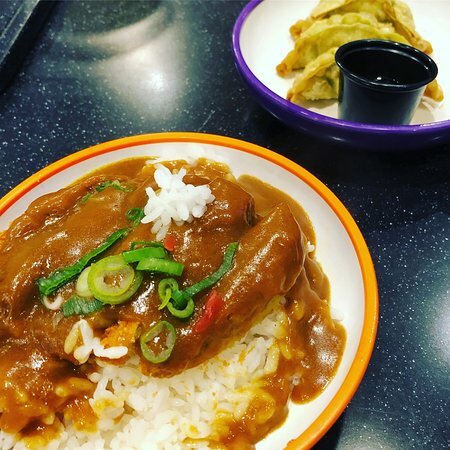 30/03/2019: Tienen un buen surtido de comidas japonesas tradicionales. El sabor es extraordinario, el servicio amable y ágil y el ambiente, que recuerda a un tren antiguo de esos que se suelen ver en Anime, Le da el toque ideal. Es un buen lugar para relajarse y charlar a la vez que se disfruta de una comida deliciosa. Para un Español podría resultar un pelín caro. Pero créeme. Merece la pena. 03/10/2018: My friend and i were looking forward to trying something in this restaurant and we were turned away as they weren't prepared to accommodate vegan food. Such a shame. 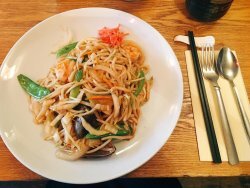 Many Japanese restaurants now make an effort to include a couple of vegan dishes on their menus as a plant based diet has become so popular. Wasabi needs to get with the times! 30/09/2018: My favourite restaurant. The best authentic, immaculately presented Japanese food and ice cold Kirin Ichiban on tap. Lovely staff. Exceptionally efficient service. Visit 2-4 times a month. Twice in the last fortnight have tried to eat here and it has been closed. Will be devastated if this closure is permanent. 17/04/2019: We went to yo this afternoon, all the tables were full and there were a few parties waiting, we didn’t mind waiting however as the tables emptied no one seemed to want to clear them despite there being loads of staff doing not much so it took a very long time to get a table. When we were eventually seated the waitress said she would be straight back. We’d never been to yo before so didn’t know how ordering worked, after about 25 minutes I asked if anyone would be coming to help us and was told I should have pushed the button. We explained that the waitress said she wood be returning but hadn’t and we were basically blamed for not knowing how it worked. Maybe on seating us she should have asked if we’d visited before as I’ve never encountered a similar ordering system. Most of the dishes we ordered were nice enough but not a lot of food for the price even on green Wednesday. 02/03/2019: Comida ordenada como entrega, no hace falta decir que mi pedido incluyó mi dirección completa. Ahora, si pones mi dirección en un navegador por satélite o en Google Maps, te llevará a la puerta principal. Claramente no para su conductor deli, que cuando 10 minutos tarde me lleva a descubrir dónde vivo, pero no puede decirme dónde está él para que lo ayude. Él me cuelga. Unos 15 minutos más tarde, finalmente aparece.